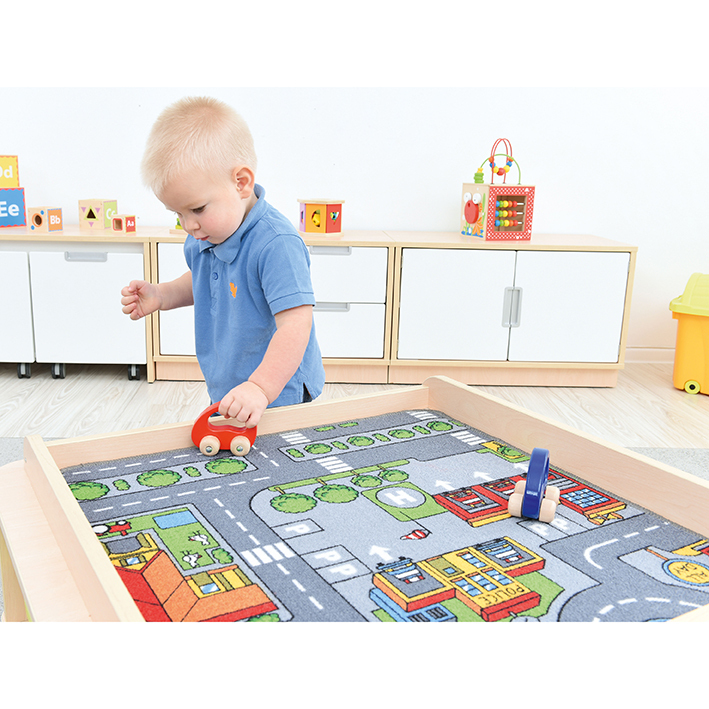 A low play table which is perfect for multiple play activities for younger children. 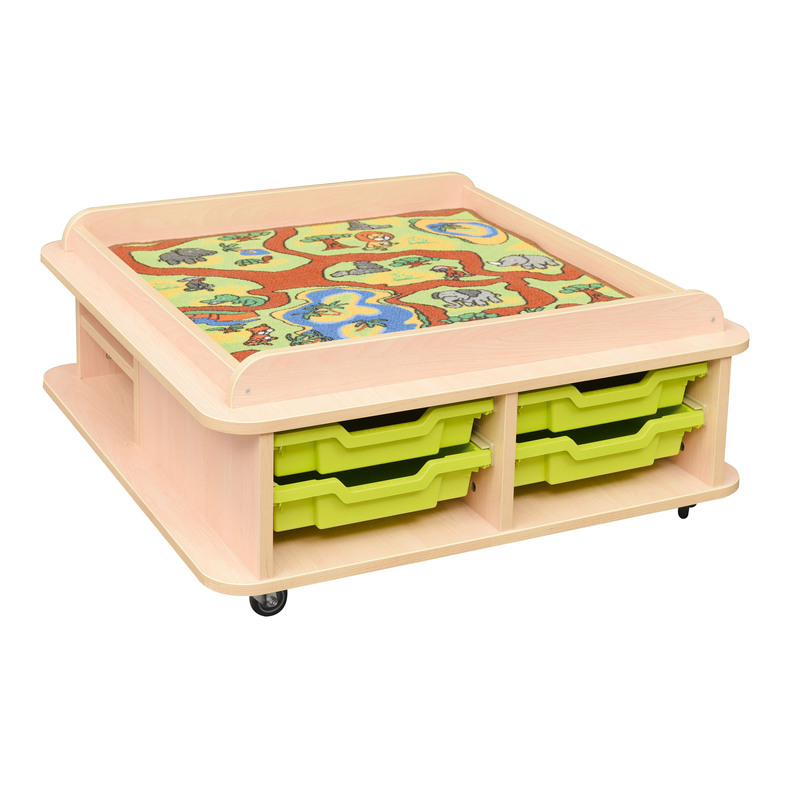 Includes 4 green trays (Gratnell’s F1 Trays) for storage and has 2 separate storage shelves to store rolled up play rugs (not included) or other play items. The play top is ideal for block play and other activities. Manufactured from maple laminated board. Supplied flat packed for simple assembly.